The Rose Garden Cafe in Elk Grove Village serves a wide variety of breakfast, lunch and dinner classics in a relaxed setting. 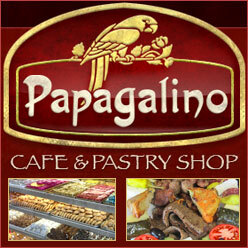 Popular items include pancakes, crepes, gourmet burgers, sandwiches, salads, pitas and much more. Homemade soups and great specials are also available every day. The extensive menu also features delicious Greek and Italian items. The Rose Garden can also accommodate private parties for up to 80 people in their beautiful banquet room.